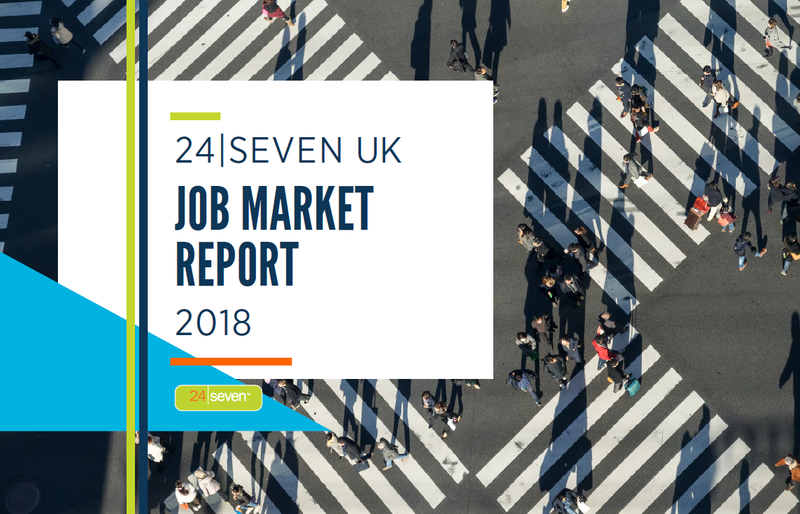 24 Seven's 2018 UK Job Market Report takes the pulse of the workforce, providing key insights for hiring managers and job seekers alike. This year our report gets emotional, looking at employee happiness and employee stress and the implications of both on the workplace. • What makes employees happy and what are the business benefits of happiness? • Conversely, what causes employees stress and how can organizations keep stress at a low? The survey showcases compensation data as well as job market attitudes and behaviors among almost 2000 professionals in the creatively-driven industries of Digital Marketing, Creative Services, Development & Tech, E-commerce, Fashion, Retail and Beauty.